Skrybe, is a producer from Melbourne, Australia. A classically trained trumpet player, his love for music has grown strongly since picking up the instrument and has flourished into the aesthetic of the music he now produces. Studying music composition has led to an exploration of dynamics; emotion and expression, before fat basses and hard hitting beats. Skrybe works with colour and texture, expressing feelings as primary influences for his music, rather than specific timbres or production styles. Much of his music is built around the intricate characteristics of cinema, orchestral and film soundtracks. Whilst his style is primarily electronic, specialising in multiple genres which may sound familiar to some listeners, his attention to detail introduces us to a significantly different emotional context. 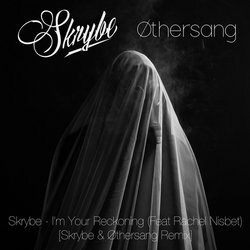 With an increasing presence across the electronic music scene, Skrybe’s recent highlights include charting on Beatport with his remix of “Thinking Too Much” by Brynny, online support for his most recent track ‘The Figure’ from multiple internationally recognised artists, as well as playing alongside international acts, Barely Alive, Nukid and Virtual Riot. While approaching his music with an almost ‘steam punk’ like identity, Skrybe’s sound leaves us with dynamics and narratives not often explored in the electronic genre. A more club oriented take of the track 'I'm Your Reckoning' - Using many similar sounds in a different context.